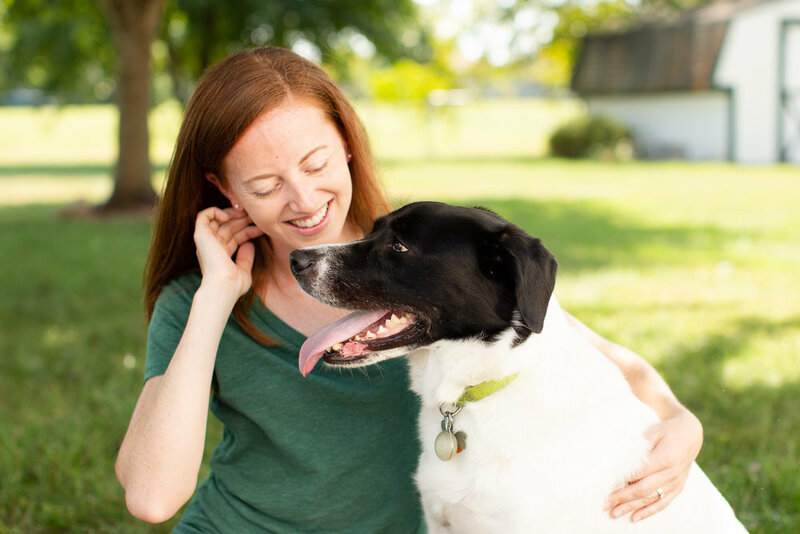 I am a wedding and dog photographer serving the DC area, but am always ready to travel! I now call Northern Virginia my home, but I grew up in Rochester, NY. I love making the trip back to my hometown, and am definitely up for adventures in new places. I live with my husband Neal and our pup Rui. Neal says that our dog takes after me - we are both super excited about meeting new people, and want to be everyone’s friend. It’s totally true, the only difference is I don’t try to lick everyone I meet on the face. When it comes to photography, I love to capture natural and candid moments without being super posed. I can probably thank my mom for this - I dreaded our annual trips to JCPenney for portraits (with my sister and I in matching floral print dresses of course). Whether it's with your future spouse, your adorable kids, or your furbaby, I want you to have images that truly reflect your personalities. If this sounds like the type of photography you're looking for, let's chat! My family is the best. Until we have actual human babies, Rui will be spoiled accordingly. I love the outdoors. Let's please take a hike and do your photo shoot in a park! I volunteer as a photographer with a local rescue group, which means I spend a lot of time cuddling adoptable puppies. Yep, it's as wonderful as it sounds. I'm still obsessed with my own wedding. It was the best day ever! Totally unique to us and filled with the greatest 80s and 90s dance music. We are a total soccer family. Neal coaches, I play whenever I can, and Rui eats every soccer ball he can find. I could binge watch The Office all day every day. If you are planning a wedding like Jim and Pam (complete with aisle dancing) please count me in for that!